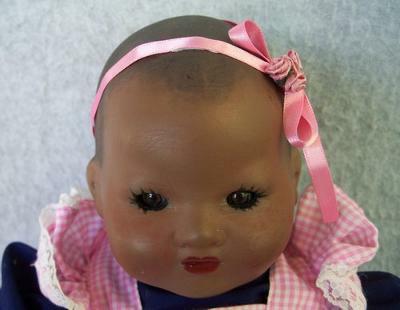 Hi, This doll was bought at a garage sale a few months ago. I have been searching for some info on it but to no avail. Apart from knowing the makers name. Could anyone help. Thanks Ellen. 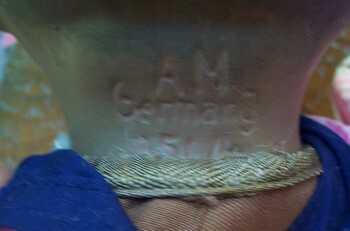 Comments for Information on A.M. doll. I'm thinking the mold may be an antique original that has been repainted, and possibly attached to a new body? It would have about the same value as a reproduction. Hi Karen, Thanks for your comments, could you give any idea of value if any. Thanks Ellen. 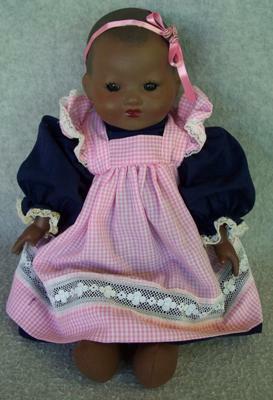 From your photos, it looks like a new reproduction of an Armand Marseille antique doll.